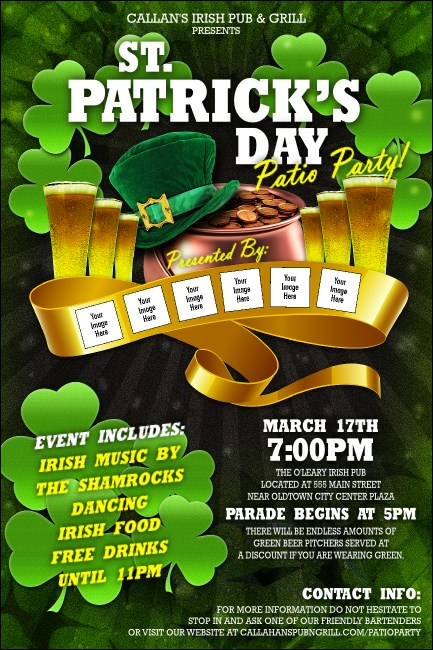 Charm your potential guests with Irish eyes and advertise your event in advance with St Patricks Day Party Posters. With space to upload six of your own images on this template, you can impress your sponsors or include pictures of featured guests to go with the theme of bright green shamrocks and golden pints of beer. TicketRiver.com.au helps you get lucky with great event advertising.